When in South Australia, make sure you visit the state capital of Adelaide and swing by the popular district of Fulham, located 8 kilometres west of the city centre. Those looking for lots to do in Adelaide will enjoy all its sights, such as the Victoria Square, Government House and Rundle Mall. Recline and listen to the sounds of the sea at West Beach. Check out the rates at the Oaks Plaza Pier and Oaks Liberty Towers to be nearby. Head to Breakout Creek Wetlands to see the peculiar plants and animals unique to wetland ecosystems. 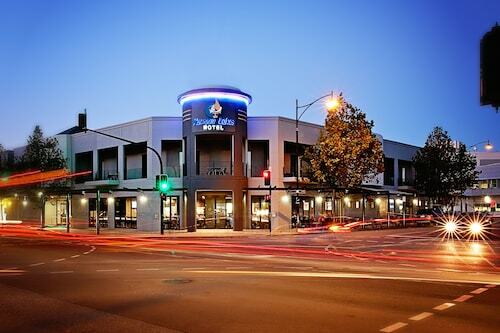 The Aviators Lodge Motel and Rex Hotel are your leading choices for this site. After a rejuvenating sleep, get outside and follow the aroma of roasted coffee beans to The Coffee Club Henley Beach. This much-loved Fulham cafe offers all the mouthwatering cakes, pastries and caffeinated drinks you could ask for. Links Hotel is a well-recommended option for dinner. With all the delicious menu items, you may need to give yourself some time for a return visit. Demand for accommodations in Fulham occasionally exceeds supply. But there's no need to tear your hair out! You'll find a number of awesome places in the West Beach hotels guide and the Wotif Glenelg North hotels guide. West Beach features the Acushla Accommodation and Arabella On West Apartments, while in Glenelg North you can check out the amenities and latest deals at the Comfort Inn Haven Marina and Watermark Glenelg. Wotif can hook you up with some awesome places to stay in Fulham, so when it's time to fly, we're ready to take you there! How Much is a Hotel Room in Fulham? 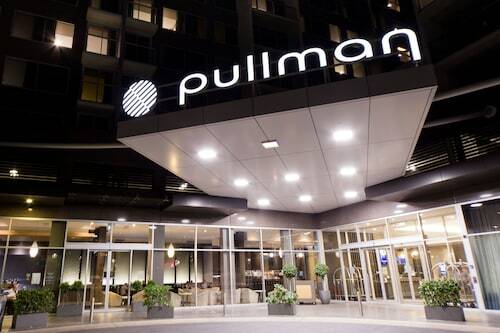 Hotels in Fulham start at AU$75 per night. Prices and availability subject to change. Additional terms may apply.